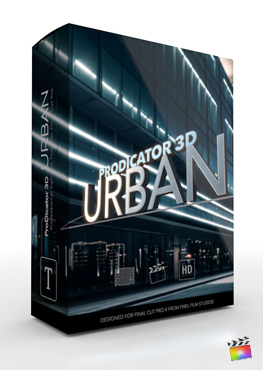 ProDicator HUD is a set of 30 self-animating line indicators created for Final Cut Pro X. Rotate ProDicator presets in 3D space to create amazing parallax between video clips and Prodicator title layers. With ProDicator presets, users can mark a spot and follow its location with a built in-keyframe assistance tool. ProDicator on-screen controls and intuitive guides makes it functional and efficient in use. 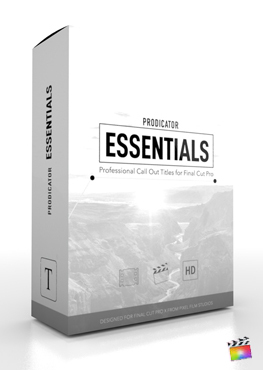 ProDicator HUD is a Final Cut Pro X exclusive. ProDicator HUD features 30 self-animating presets with technological elements including binary code, random bars, and simplistic lines. Utilize Prodicator HUD to mark mechanical parts, robots, or even to introduce people/characters. Experience incredible parallax by rotating ProDicator presets into 3D space with amazing on-screen controls. Pick and choose from presets with text, drop zones, shapes, and more. With easy on-screen controls, Final Cut Pro X users can add an extra dimension to their productions with ProDicator HUD. Manipulate both Y & Z rotations to exact the angle desired. Next, tweak the length of the preset with the length control found under style controls and utilize the “Angle of View” slider to increase the degree of camera skew. Create awesome parallax with ProDicator HUD. ProDicator HUD’s design is sleek and minimalistic. Pick and choose from styles with random bars, binary code, and/or thin lines to complement high-tech productions. Change the color, manipulate the opacity, and tweak HUD elements. Create a modern 3D line indicator with easily customizable title elements using ProDicator HUD’s 30 presets. ProDicator HUD is extremely easy to use in Final Cut Pro X. 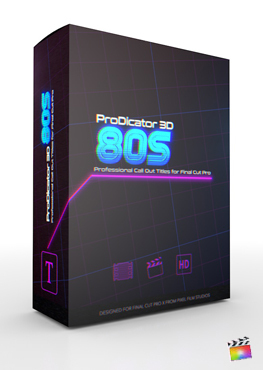 To use ProDicator, simply drag a preset into the FCPX timeline. Next, stylize the text and customize the elements of the preset using controls found in the inspector window. ProDicator will automatically animate itself in and out at the correct speed. Pixel Film Studios makes amazing easy in FCPX. 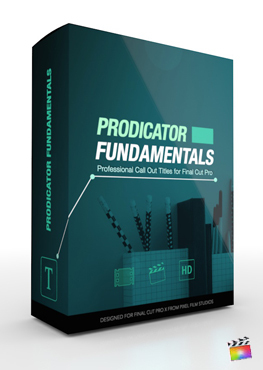 Here is a lesson for a very similar ProDicator that answers the most commonly asked questions about the ProDicator series.